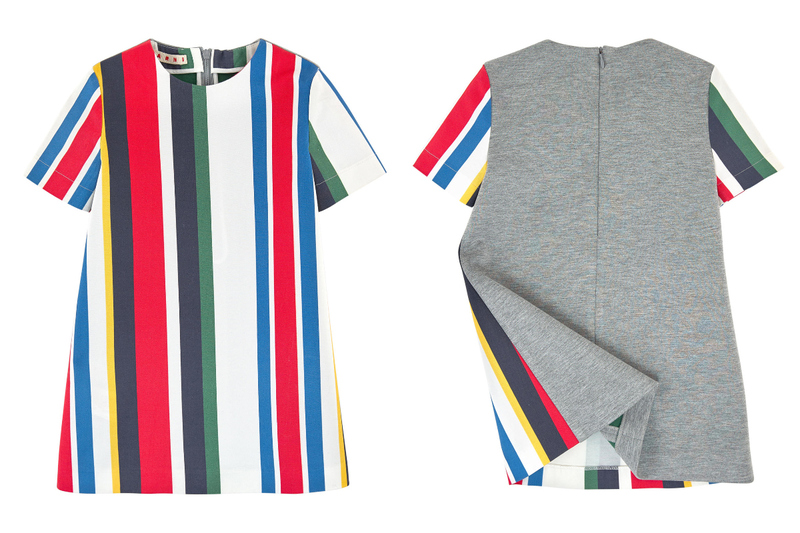 Marni junior spring summer 2016, characterised by a line with powerful multicolour stripes, seemed just perfect for our series dedicated to geometry, selected to celebrate Milan Design Week which is actually closing in a few hours. 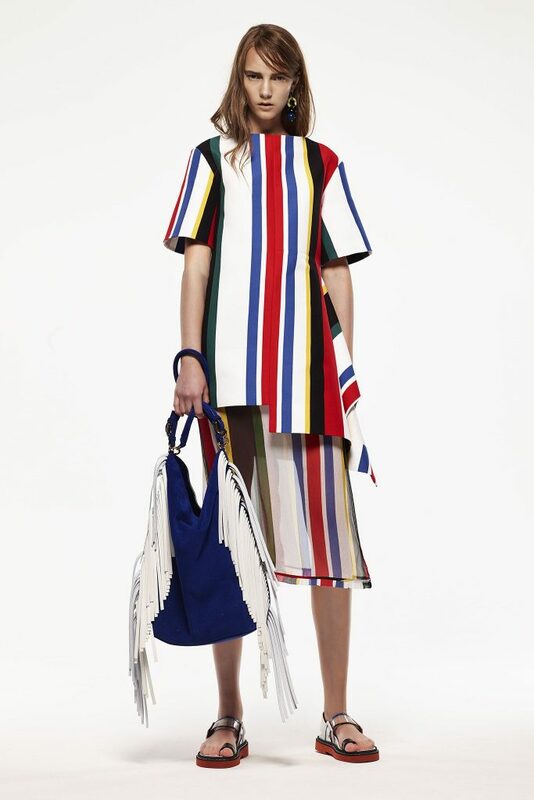 Faithful to its tradition, Marni junior spring summer 2016 it’s a collection dedicated to girls only, and it’s inspired by the adult line, in particular by the resort 2015. 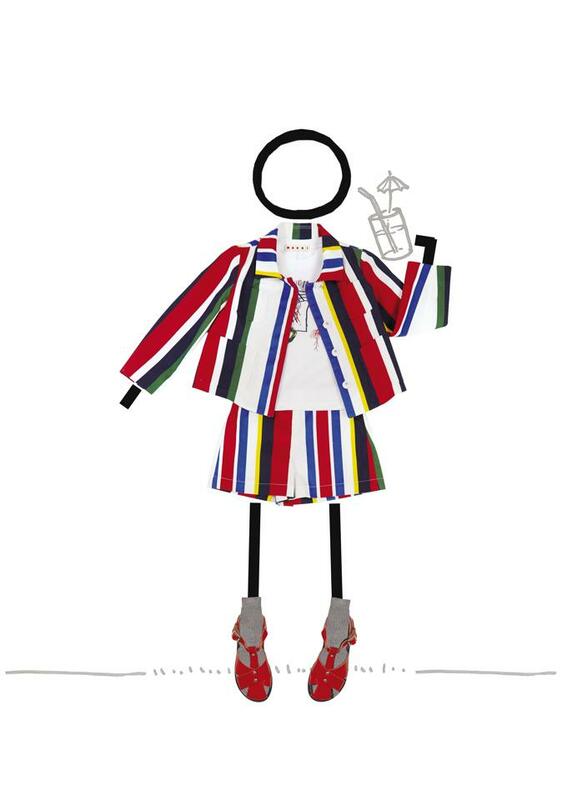 Dresses, t-shirts, jackets, shorts and a wide range of accessories are made with this powerful print characterized by stripes that combine bright primary colours (namely green, blue and red with some flashes of yellow) on a white background. 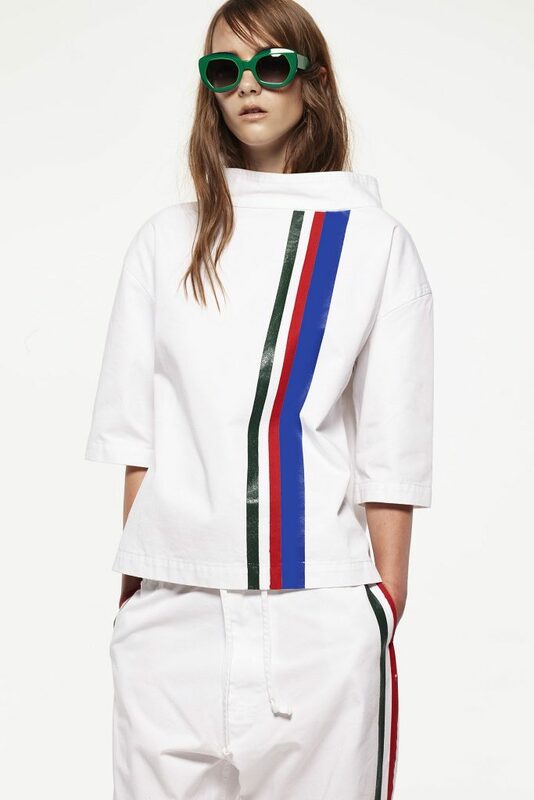 The line encompasses also a minimalist version, in which white is prevailing and it’s crossed by a single line of green, red and blue, emphasising the mix of sportiness and elegance typical of the brand. 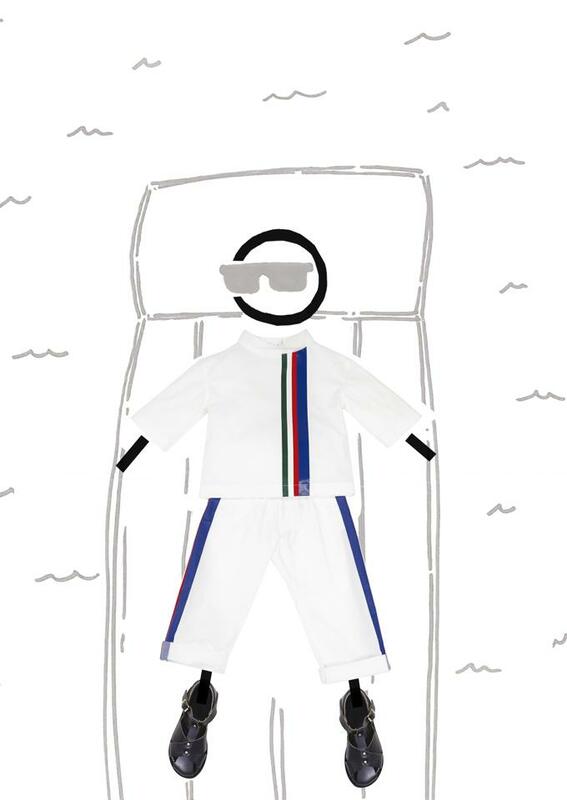 A final note: this is the second Marni junior collection produced and distributed by Brave Kid the company belonging to Only The Brave group, specialized in clothing and accessories for the little ones. La collezione di Marni Junior per la primavera estate 2016, caratterizzata da una linea con forti righe multicolore, ci è sembrata perfetta per la nostra serie dedicata alle stampe geometriche, che abbiamo pensato per celebrare la settimana del design a Milano, in chiusura tra poche ore.
Fedele alla sua tradizione, anche per questa stagione estiva la collezione di Marni Junior è dedicata esclusivamente alle bambine e trae ispirazione dal look delle mamme, ed in particolare dalla collezione resort 2015. 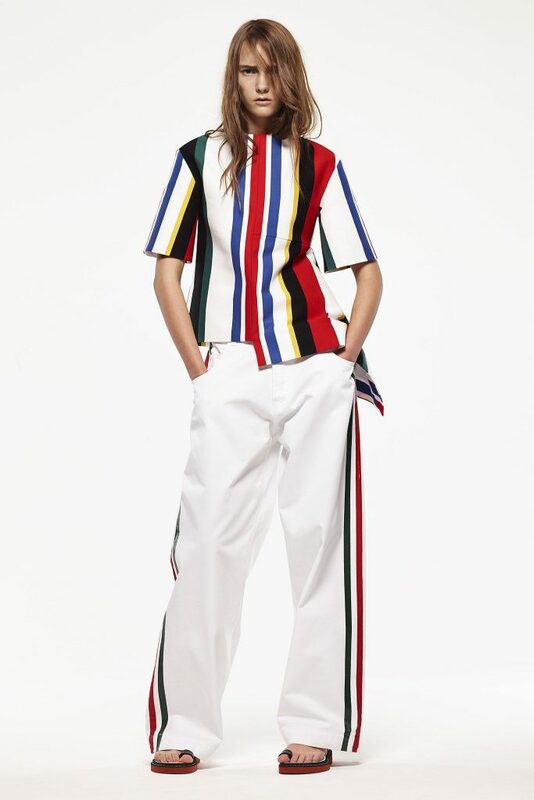 Abitini, magliette, giacche e pantaloncini corti, nonché una vasta gamma di accessori, sono realizzati con questa decisa stampa caratterizzata da righe ragata che accostano accesi colori primari (verde, blu, rosso e alcuni lampi di giallo) su uno sfondo bianco. La linea presenta anche una versione minimalista in cui bianco prevale ed è attraversato da una singola riga verde, rosse e blu, esaltando il mix di sportività ed eleganza tipica del marchio. 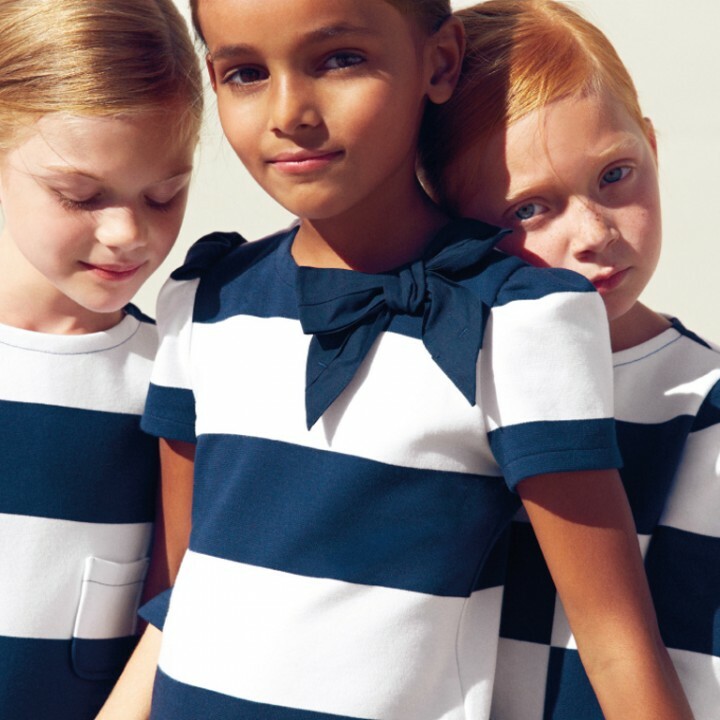 Una nota finale: questa è la seconda collezione Marni junior prodotta e distribuita da Brave Kid, la società del gruppo Only The Brave specializzata in abbigliamento e accessori per i più piccoli. Marni junior spring summer 2016 - Short sleeves double sided dress featuring the striped pattern inspired by the resort 2015 adult collection on the front, grey neoprene on the back. 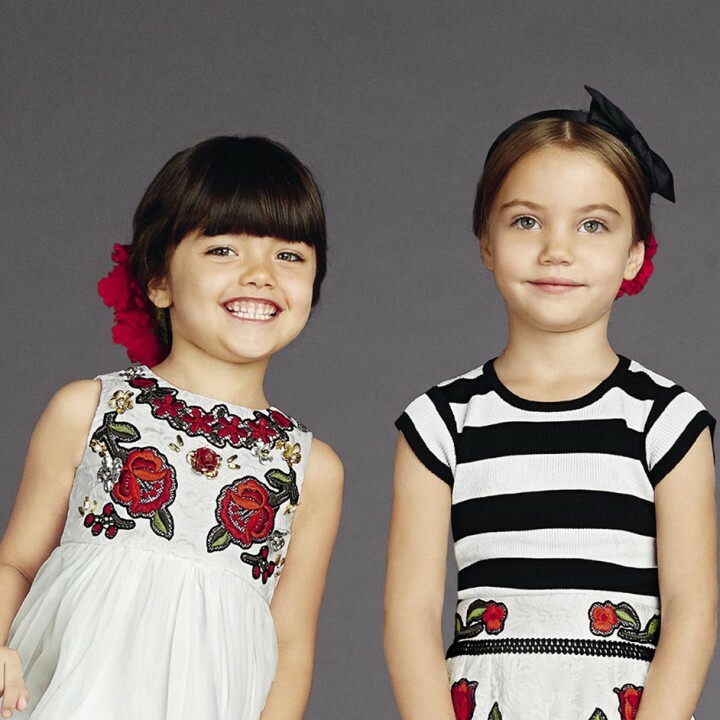 Pictures from Melijoe elaborated by Fannice Kids Fashion. 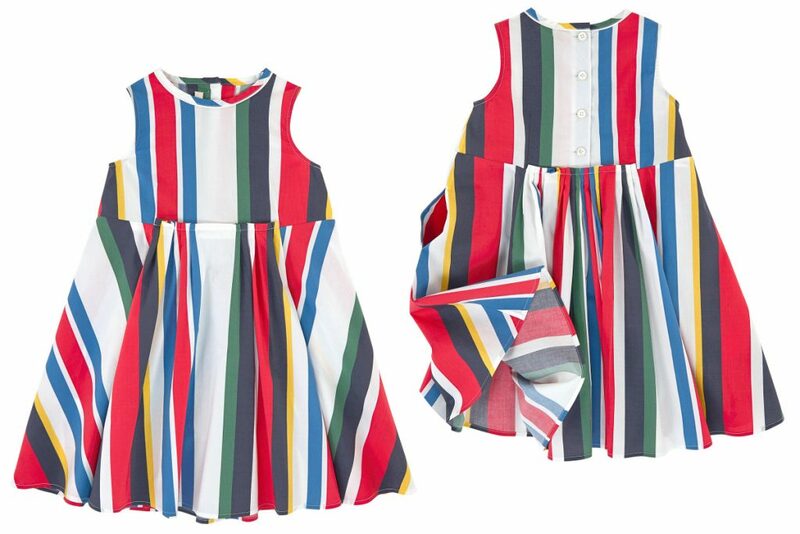 Marni junior spring summer 2016 - Sleeveless mini-me dress featuring the striped pattern inspired by the resort 2015 women collection. 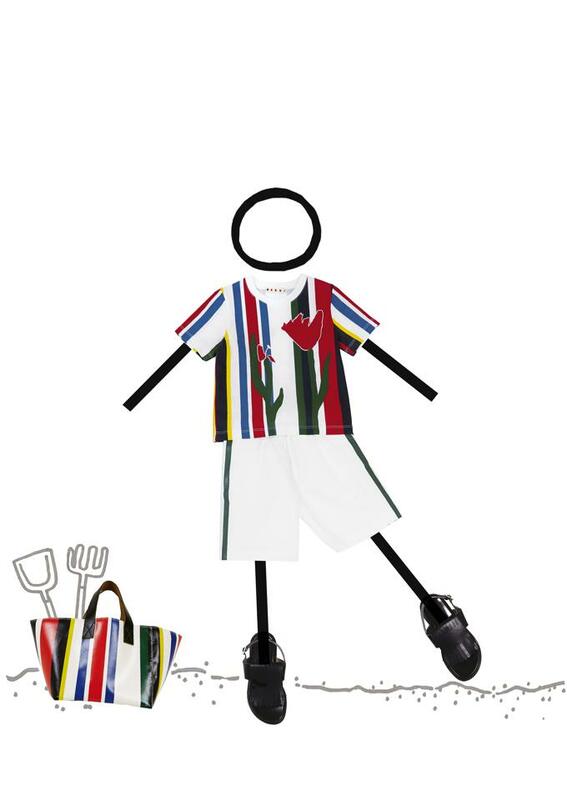 Pictures from Melijoe elaborated by Fannice Kids Fashion. 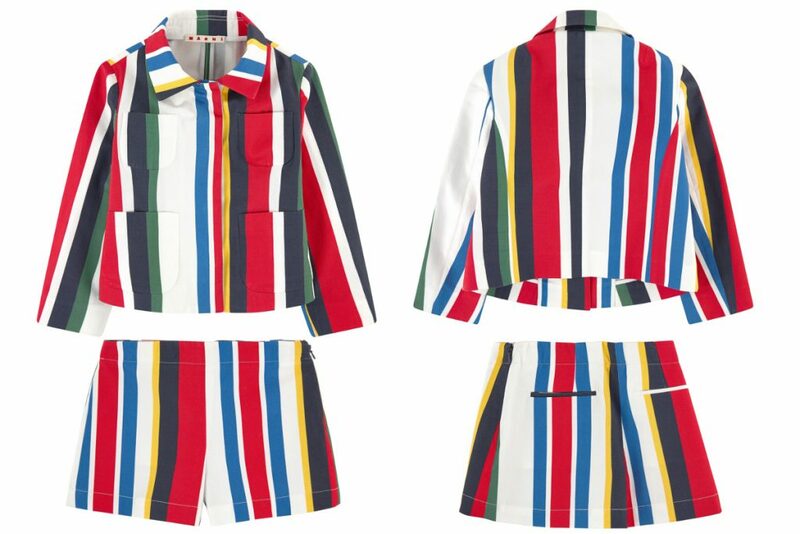 Marni junior spring summer 2016 - Jacket and shorts made from cotton twill featuring the striped pattern inspired by the resort 2015 collection. Love the four patch pockets on the front. 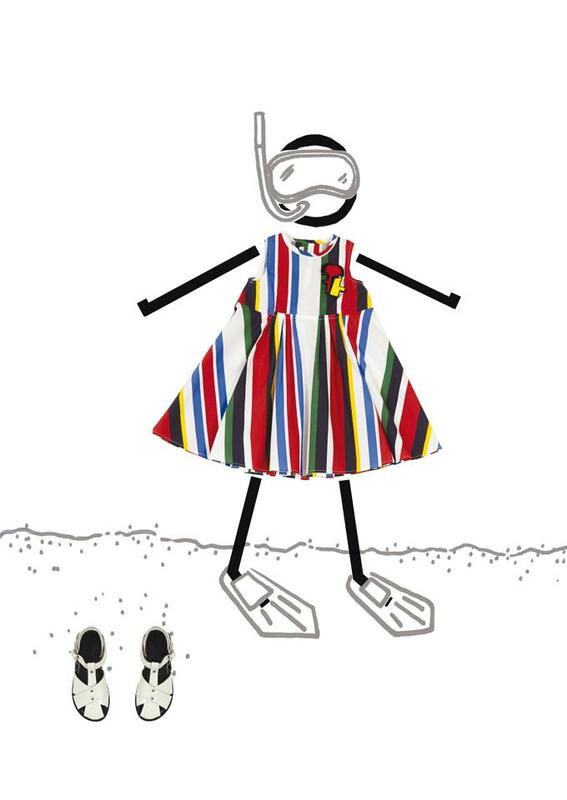 Pictures from Melijoe elaborated by Fannice Kids Fashion. 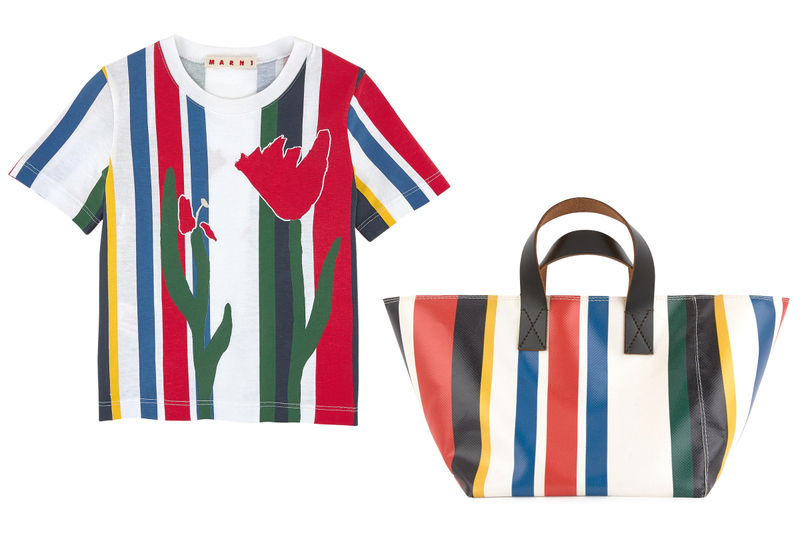 Marni junior spring summer 2016 - Striped t-shirt with red flower on both sides and a big bag characterised by the mini-me print. 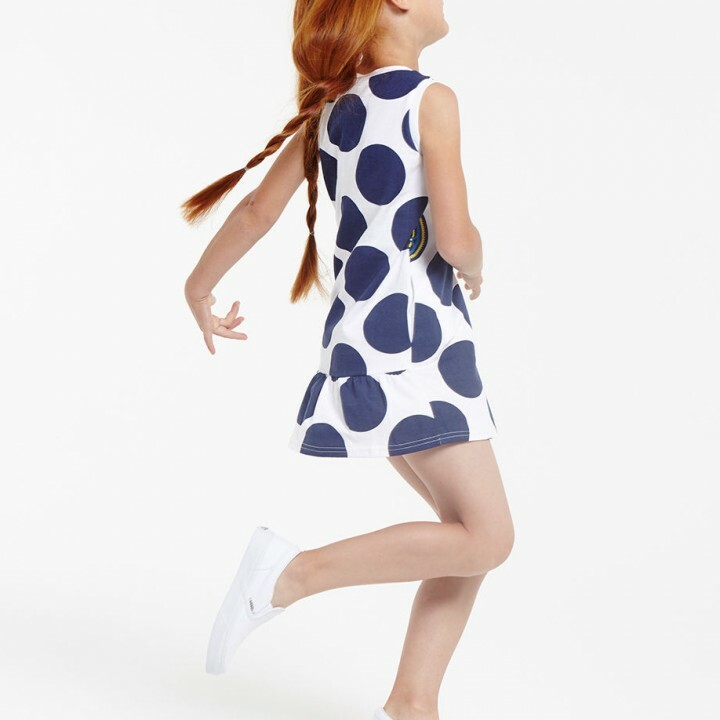 Pictures from Melijoe elaborated by Fannice Kids Fashion. 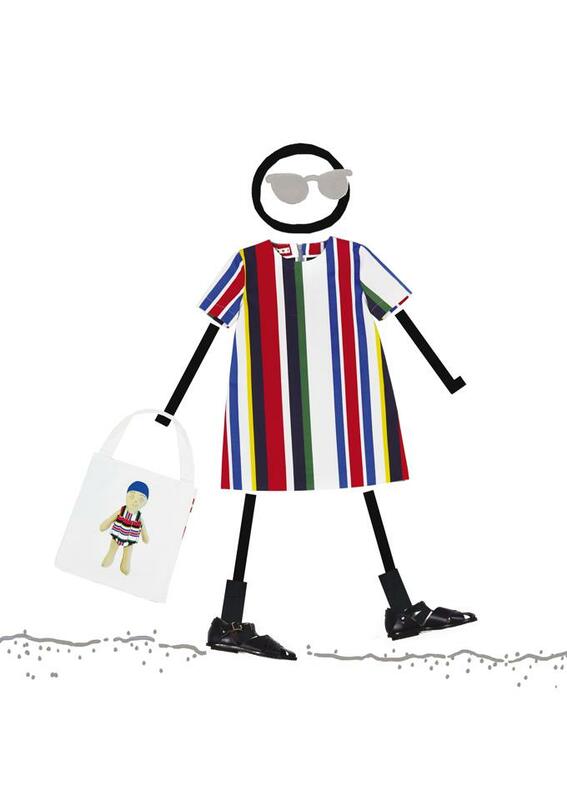 Marni junior spring summer 2016 - White t-shirt with green, red and blue stripes and a big white bag with a lovely baby character in a Marni swimming suit. 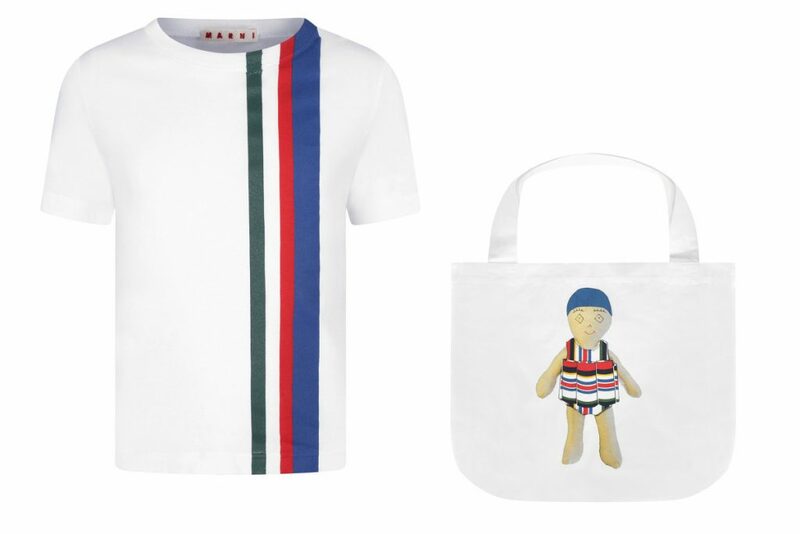 Pictures from Childsplayclothing and ladida elaborated by Fannice Kids Fashion. © 2019 Fannice Kids Fashion. All rights reserved.